Growing up in 70’s, the underwater world and its mysteries were exemplified in the popular media of that time. The famous Television series “Sea Hunt” with Lloyd Bridges and “The Undersea World of Jacques Cousteau”, even as re-runs, provided me with fantastic thoughts and incredible inspiration causing my imagination to spin wonderful stories of adventure and exploration of a magical undersea world. Well… I soon grew out of that insatiable imagination as life, school, work and family became more important. Then, one day, on a beach in Mexico a crazy idea literally surfaced to learn to scuba dive, and that changed everything from that day forward! Those wonderful stories of adventure and exploration that I had only imagined as a child started to re-surface, but this time as a reality which eventually led me to becoming a PADI Professional. Diving extensively in Canada, the Caribbean and even in the Galapagos has provided me with a wide-range of training and a comprehensive skill set which by itself is a dream come true. But, never in my wildest dreams or even in the stories that I concocted in my head as a child, did I ever envision a future where I would be exploring the depths of the Caribbean Sea in a Submarine down to 1000ft! That would be just a crazy story right!? Not so crazy and dreams do become a reality! Today, I work with a small & dedicated team at Substation Curaçao & Chapman Expeditions. 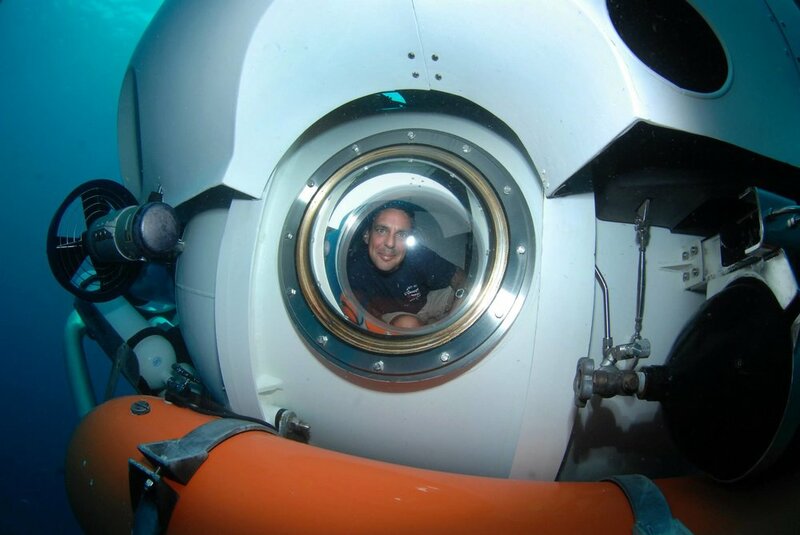 Our team, by using the manned submersible Curasub, facilitates the exploration of the deep reefs around Curacao & the Greater Caribbean, allowing Marine Biologists from all over the world to explore the twilight zone of the Caribbean Sea down to 1000ft (300m). This type of documented exploration & discoveries is producing dynamic results that are now being published in major scientific journals. Additionally, by monitoring the deeper reefs to find out what influence factors like climate change, acidification, pollution and invasive species have on ecosystems in greater depths, is another aspect that keeps researchers occupied with. Simultaneously they are also trying to find out in what way the deeper reefs might affect the recovery capacity of the shallow reefs. The Curasub is a specifically designed 5-person submarine built by Nuytco Research Ltd. It is equipped with the latest technology and certified to the highest safety standards allowing Substation Curacao to offer you an experience that only rivals a journey into outer space. After the Pilot releases the ballast air, your journey starts with a slow & even descent along the sloping drop offs. The beauty of these incredible dives is the kaleidoscope of color & the unexpected variety of life that you will encounter well beyond the recreational scuba diving limits. Another world exists on the deep reefs and this is your chance to observe this incredible world only few know. Truly, it is another world of life & wonder. Turn your dreams into a reality too! Become a Deep-Sea Explorer with Substation Curacao and discover the unknown depths of the Caribbean Sea! It is a bucket list experience! !